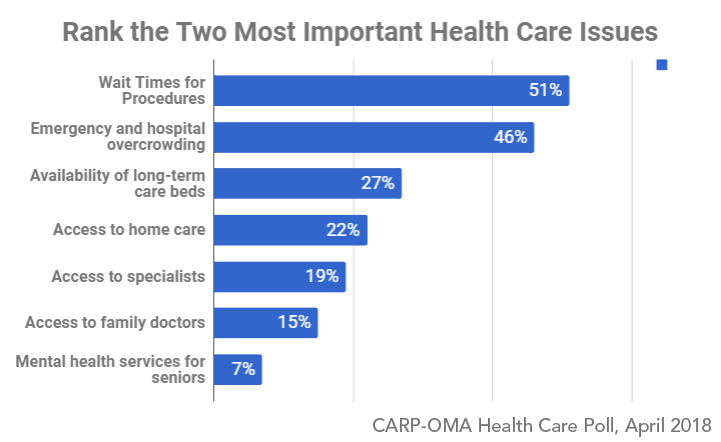 May 25, TORONTO – According to a new poll conducted by CARP and the Ontario Medical Association (OMA), only 9 per cent of CARP members believe that their children, or children they know, will have better access to health care in the future. Nearly half (46%) of respondents believe that access will be worse in the future. 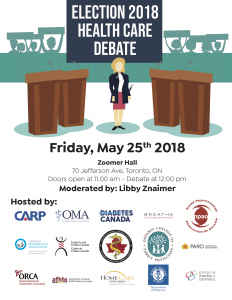 On Friday, May 25th, CARP, the OMA and its partners hosted the Election 2018 Health Care Debate at Zoomer Hall (70 Jefferson Ave, Toronto) to give voters a chance to listen to, and ask questions of, local candidates on issues of concern. How Do Health Care Issues Rank? 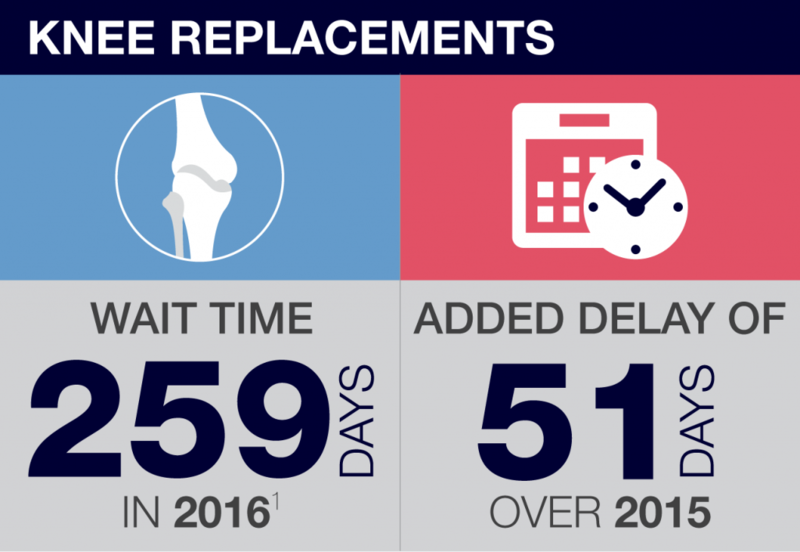 The two health care issues rated as most important were: wait times for procedures (51%) such as hip and knee replacements and cataracts surgery; and emergency and hospital overcrowding (46%). 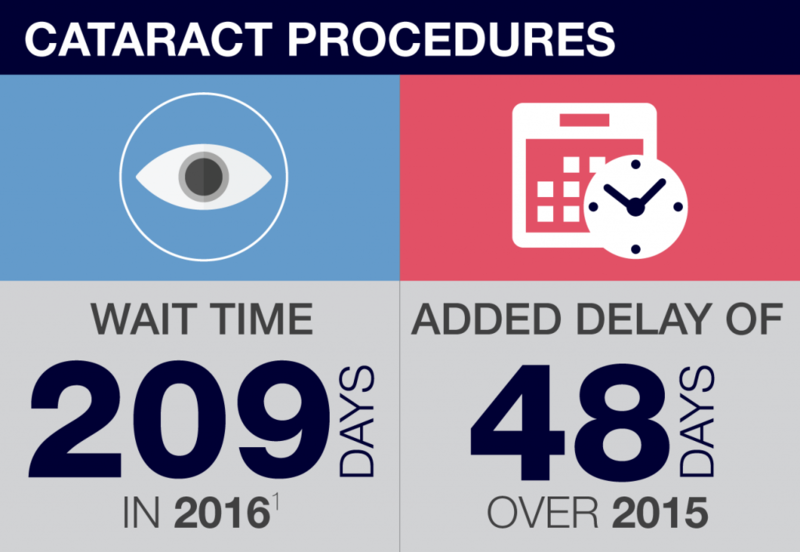 Ninety per cent are either “somewhat” (36%) or very concerned (54%) with the time it takes to access medical specialists. Eighty-three per cent of respondents are “somewhat” (41%) or “very concerned” (42%) with the time it takes to get access to diagnostic procedures like MRIs and CT scans. Although that the survey revealed future access to health care is worrisome, almost half of Canadians (47%) ranked the overall quality of health care services in Ontario as 3 out of 5; and another 39% rated it 4 or 5. (1 being poor, 5 being excellent). “These results aren’t surprising because Canadians are extremely tolerant when it comes to health care. There is an expectation of fairness but not necessary a gold standard of care so their rating can be less harsh than we might expect,” said Tamblyn Watts. CARP’s vision is to ensure that Canadians receive the gold standard of health care they deserve across the lifecourse. When asked what they consider to be the most important issue in the upcoming provincial election, almost half of respondents (47%) rated health care number one, followed by the economy (32%), and financial security (11%). While 93 per cent of respondents say they will vote in the provincial election, 30 per cent of those are still undecided as to which party they will choose, making health care the most important big issue. This survey was conducted via email from April 20th to 27th, 2018 in Ontario; 3,885 CARP members responded. Members are generally aged 50 and over. Here are the full survey results for download. CARP is a non-profit, non-partisan association representing more than 300,000 older Canadians across Canada. We advocates for better health care, financial security and freedom from ageism. 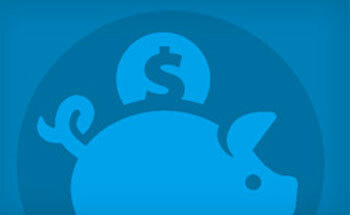 We’re supported by our membership, and valued corporate partners who offer members discounts and benefits. Visit: www.carp.ca. 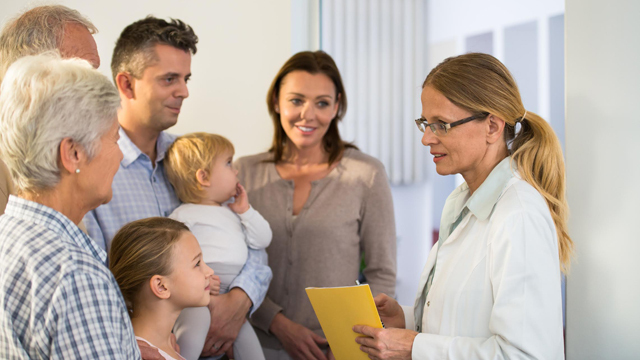 As the representative of Ontario’s physicians, we advocate for the well-being of our members and the health of Ontarians, and provide leadership for an accessible, sustainable, high quality health-care system. Ontario’s physicians are committed to having the healthiest patients and the best healthcare system. Visit: www.oma.org.